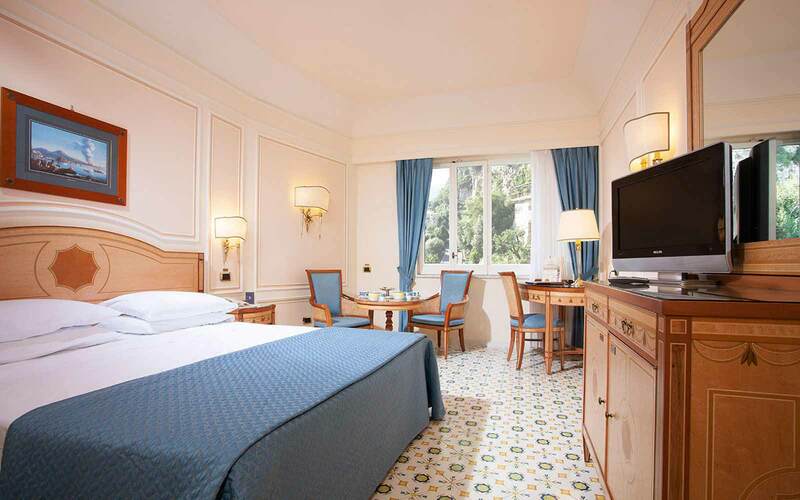 The Grand Hotel Capodimonte is a prestigious 4 Star Superior Hotel built along the tradition of Mediterranean architecture. 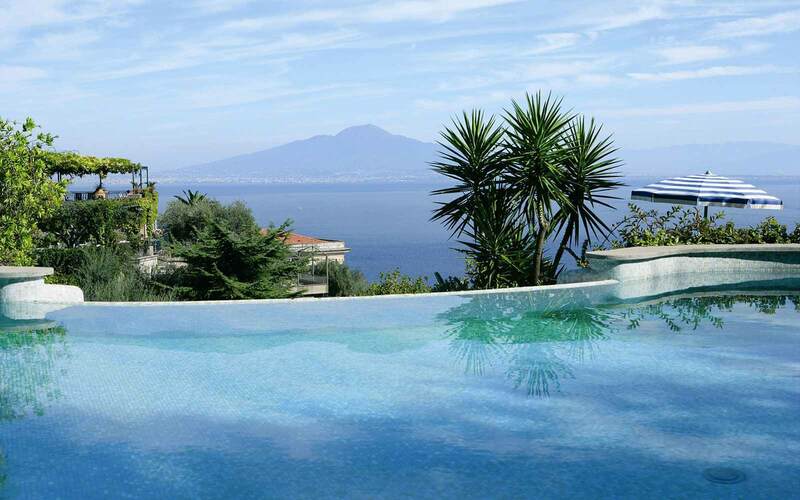 Its position on the rocky mountain directly overlooks the town of Sorrento and the enchanting Gulf of Naples visible to its left. 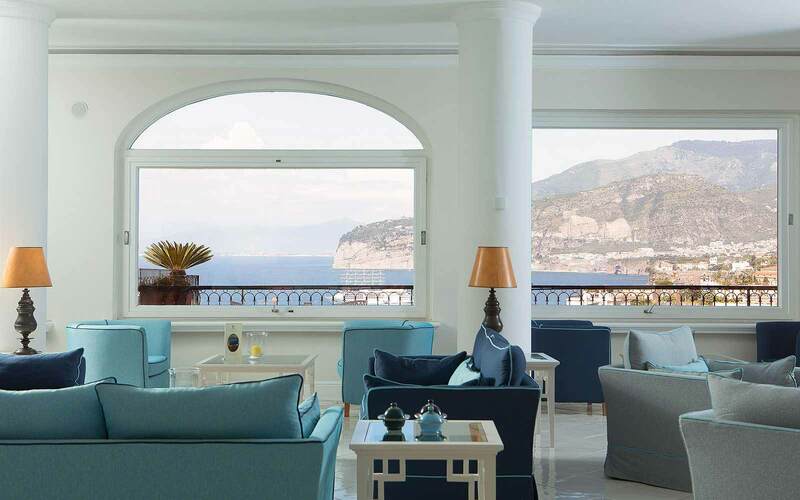 A striking and imposing hall, wonderfully designed into the rock cavern ambience, is connected with the fifth floor of the Hotel, thanks to two fast elevators. 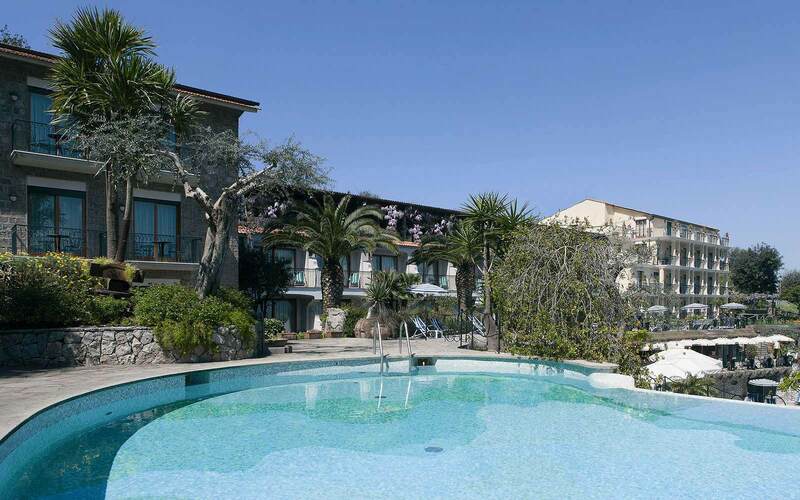 Guests will be welcomed by a selected and highly professional staff. 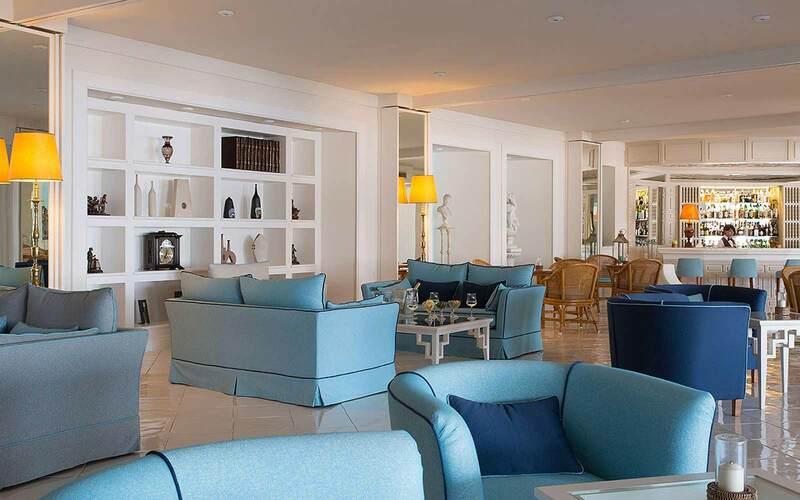 The large areas and the main lobby with its Lounge Bar, are all furnished in typical 70's style, with large sofas, valuable local inlaid wood work furniture, carpets and marble stairs are a perfect frame for a refined and familiar atmosphere all of which are perfectly surrounded by flourished, panoramic and breathtaking terraces. 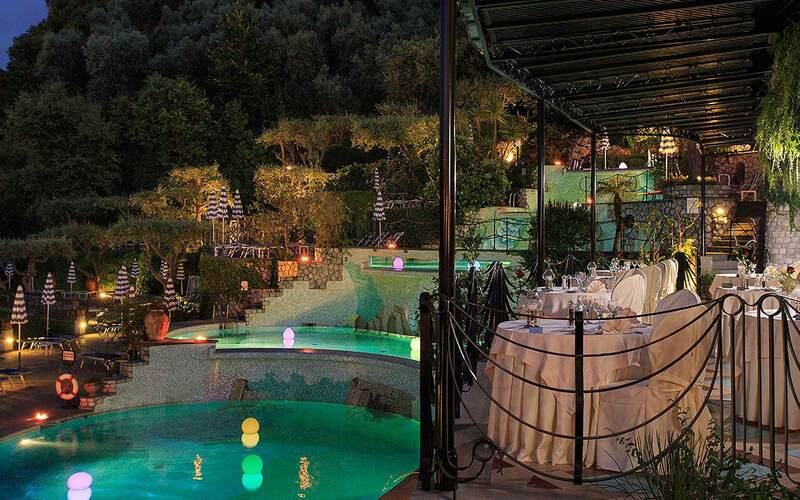 The hotel offers two restaurants and two bars, situated on the famous terrace with the cascading pools. 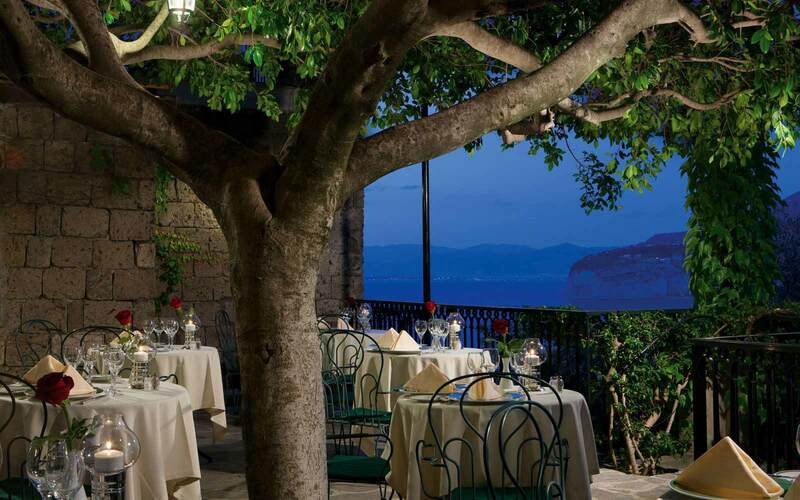 Moreover, at the restaurant-snack bar " L'Agrumeto " , cool drinks, grilled specialities, fresh meal and world-famous Neapolitan patisserie will make you spend pleasant moments among olive-trees and colourful flowers. 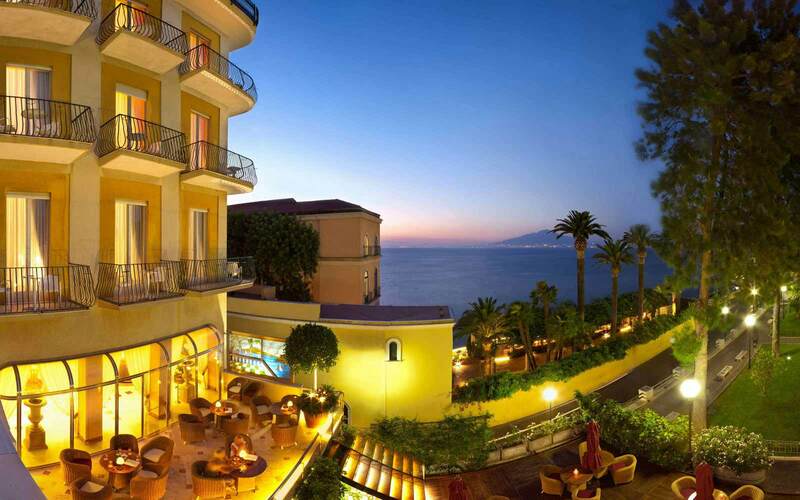 Through characteristic walkway tunnels, our guests can easily access the rooms. 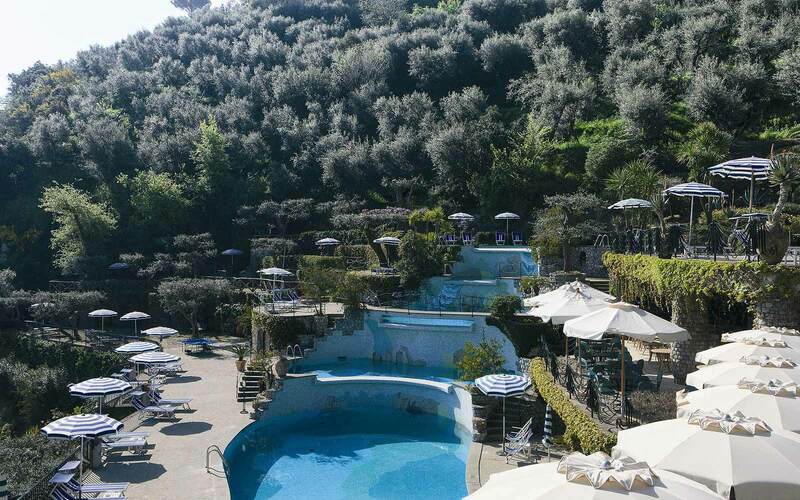 You can relax and find your interior peace enjoying the magnificent views, the coloured gardens with the 5 interconnecting cascading-swimming pools surrounded by a natural and lush vegetation, but always with all the modern comforts. 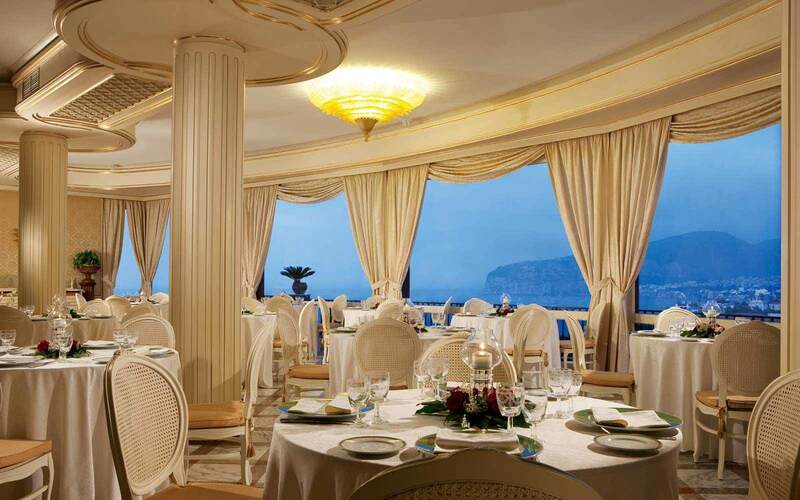 All the services of Grand Hotel Capodimonte make the peaceful moments an unforgettable memory of your stay. 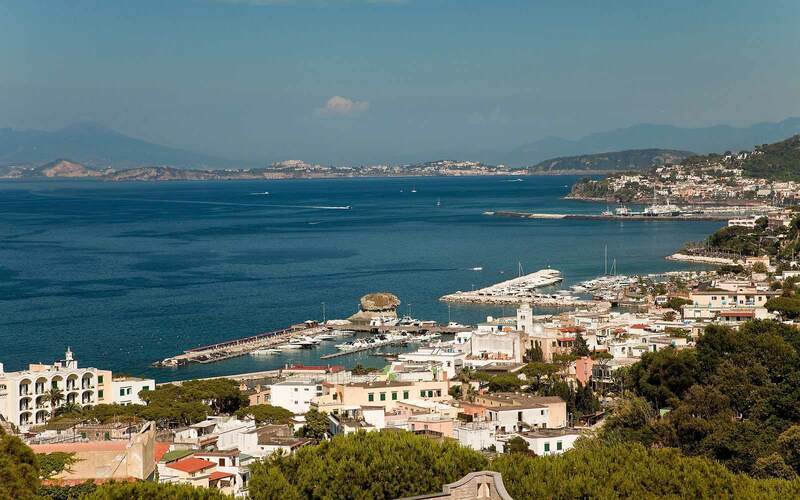 With a 10-15 minute walk you will also reach Sorrento's centre, Piazza Tasso, where you be able to experience the town's most characteristic shops, restaurants and narrow streets. 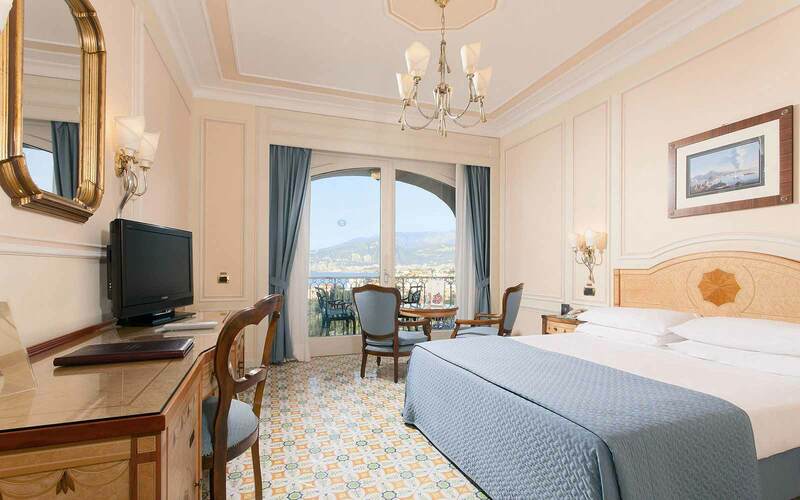 Rooms 188 - All relatively spacious, elegantly decorated with patterned tiled floors and light wood furniture, most of them overlooking the Bay of Naples or the hotel`s coloured gardens, with natural and luxuriant vegetation. 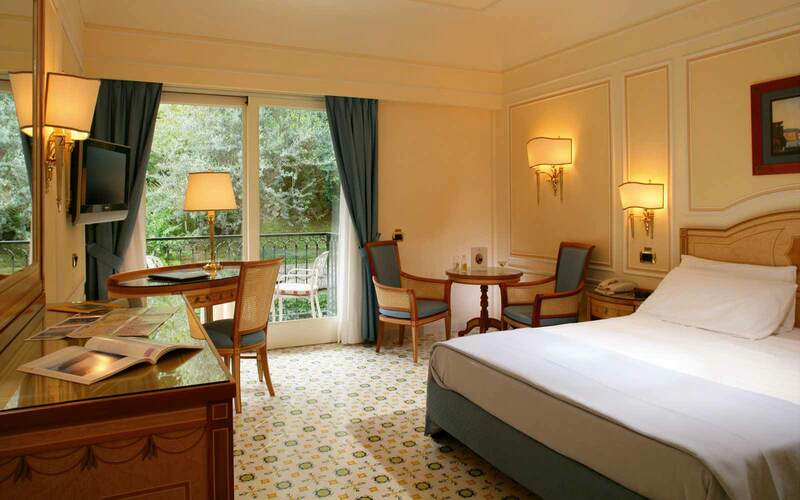 Double / Twin Rooms are spacious with elegant interiors in soft pastel colours and wooden furniture. 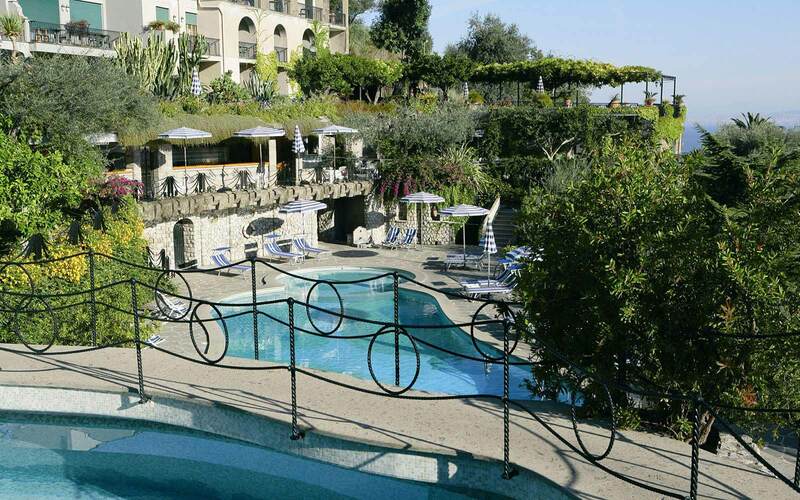 Views from the balcony look out over a wall of lush Mediterranean vegetation to the rear of the hotel. These rooms have twin beds (these can be made into a double bed on request) and can sleep up to 3 adults. 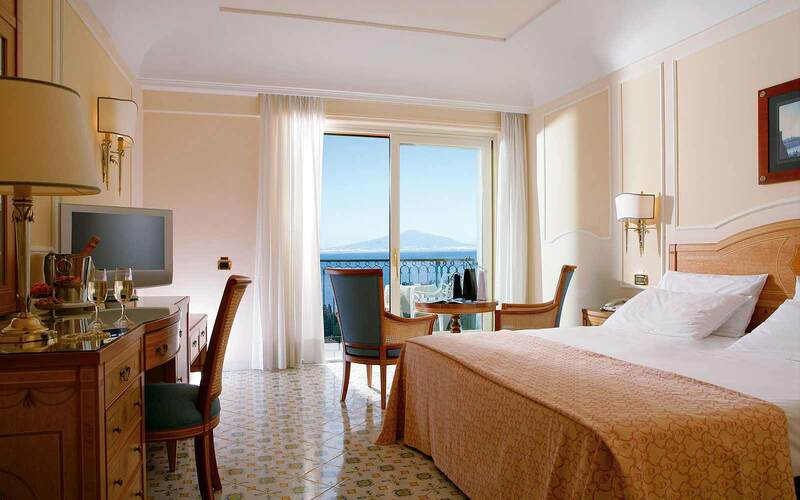 Double/ Twin Partial Sea View Rooms are located on the lower floors of the hotel and offer obstructed views through the trees over Sorrento and the sea from the balcony. These rooms have twin beds (these can be made into a double bed on request) and can sleep up to 4 adults. 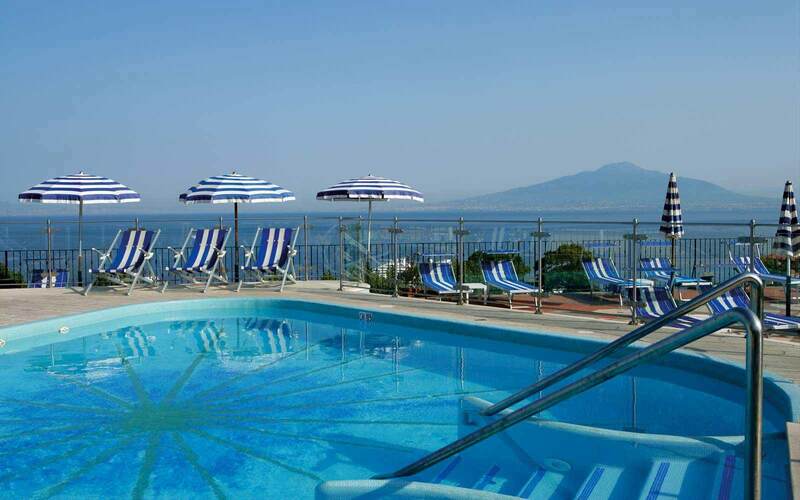 Double / Twin Town and Sea View Rooms offer stunning views over the whole of Sorrento from the balcony and the Bay of Naples on the left. The marble bathroom features a unique majolica tiled floor and includes a bathtub and shower. 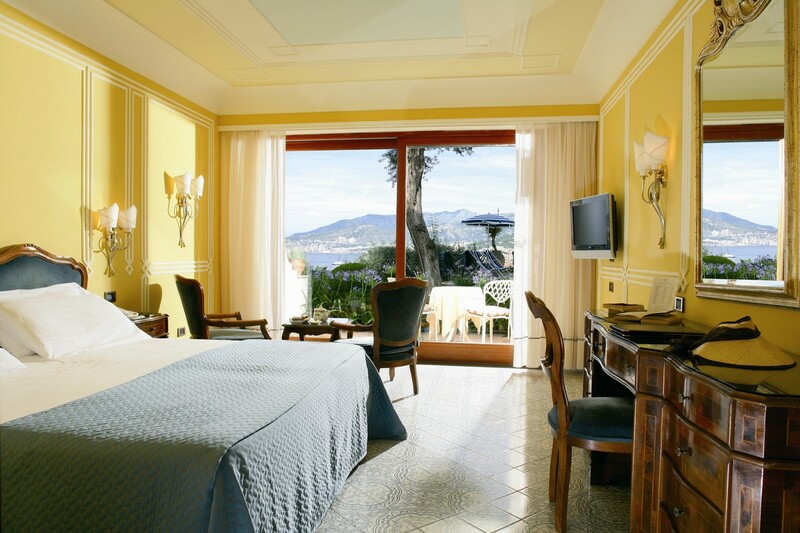 These rooms have twin beds (these can be made into a double bed on request) and can sleep up to 3 adults. 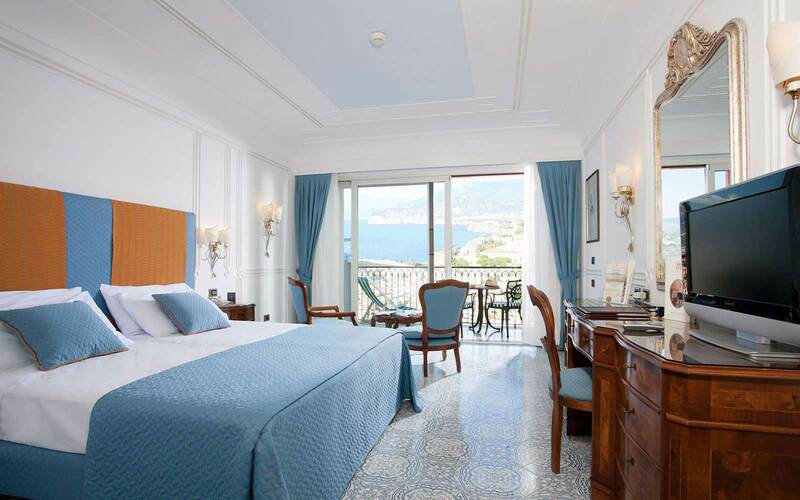 All rooms offer: individually controlled air-conditioning, Air Dryer, Mini - Bar, satellite TV, safe, radio, phone with direct external line, private bathroom shower or bathtub and hairdryer.